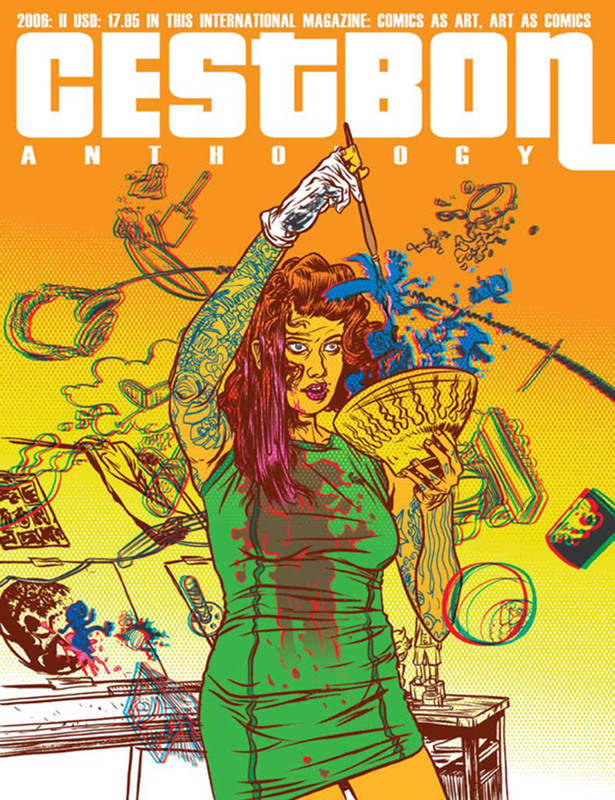 C'est Bon Anthology continues, with comics ranging from an artistic murder mystery to dystopic future sports, to a text piece on art and comics. With a 3D cover by Nathan Fox, this is a mix of established artists and new exciting talent, collaborating to expand the boundaries of what can be done in the comics medium. This ongoing anthology features self-contained stories and high-quality production. Authors: Aleksandar Opacic [RS], Danijel Zezelj [US], Dash Shaw [US], Henrik Rehr [DK], Jessica Khane [PT], Jimmy Jönsson [SE], Jyrki Heikkinen [FI], Kim W Andersson [SE], Knut Larsson [SE], Marko Turunen [FI], Mattias Elftorp [SE], Nathan Fox [US], Paul Gravett [UK], Pedro Nora [PT], Susanne Johansson [SE], Vincent Stall [US] ISBN: 9789197652803. C’est Bon Anthology continues, with comics ranging from an artistic murder mystery by Henrik Rehr (Tuesday) to dystopic future sports by Danijel Zezelj (Corinthian, Loveless) to a text piece on art and comics written by Paul Gravett (Graphic Novels: Stories to change your life). With a 3D cover by Nathan Fox, this is a mix of established artists and new exciting talent, collaborating to expand the boundaries of what can be done in the comics medium. This ongoing anthology features self-contained stories and high-quality production.